Conservation of endemic rare-threatened plants and sustainable exploitation of biodiversity with emphasis on medicinal-aromatic plants and plants with horticultural/ornamental value can be achieved through ex situ conservation activities. For this purpose, propagation experiments with cuttings were performed on four local Ionian endemic species with conservation priority, Stachys ionica Halácsy, Teucrium halascyanum, Thymus holosericeus Celak and Thymus plasonii Adamovic (all Lamiaceae). For propagation, softwood tip cuttings (3-5 cm) were cut at early autumn from mother plants collected from the wild and maintained in open-air mother plantations. For experimentation, the base of cuttings was immersed for 1 min in solutions of four concentrations of IBA (0, 1000, 2000 and 4000 ppm). Cuttings were placed on a peat:perlite (1:3) substrate in the bench of greenhouse heated mist system. Most suitable treatment for T. halascyanum (3 ½ weeks) proved to be 1000 ppm IBA (32.13 roots 1.72 cm long, 100% rooting). Accordingly, 2000 ppm IBA gave 100% rooting for both S. ionica (28.5 roots 1.56 cm long,) (3 weeks) and Th. holosericeus (4.4 roots 1.76 cm long) (7 weeks). T. plasonii cuttings treated with 2000 ppm IBA gave 85.71% optimum rooting with 8.67 roots 1.78 cm long. Smith, R.D., Dickie, J.B., Linington, S.H., Pritchard, H.W., Probert, R.J. 2003. Seed Conservation: Turning Science into Practice. The Royal Botanic Gardens, Kew Publishing, London. Sarasan, V., Cripps, R., Ramsay, M.M., Atherton, C., McMichen, M., Prendergast, G., Rowntree, J.K. 2006. Conservation in vitro of threatened plants - progress in the past decade. In Vitro Cell. Dev. Biol. - Plant 42:206-214. Engelmann, F., Dulloo, M.E., Astorga, C., Dussert, S., Anthony, F. 2007. Complementary Strategies for ex situ Conservation of Coffee (Coffea arabica L.) Genetic Resources. A Case Study in CATIE, Costa Rica. Topical Reviews in Agricultural Biodiversity. Rome, Italy, Biodiversity International, pp. x+63. Li, D.Z., Pritchard, H.W. 2009. The science and economics of ex situ plant conservation. Trends Plant Sci. 14:614-621. Rechinger, K.H. 1982. Stachys. Flora Iranica. Akademische Druckund Verlagsanstalt Graz Austria 150:354-396. Dundar, E., Akcicek, E., Dirmenci, T., Akgun, S. 2013. Phylogenetic analysis of the genus Stachys sect. Eriostomum (Lamiaceae) in Turkey based on nuclear ribosomal ITS sequences. Turk. J. Bot. 37:14-23. Bhattacharjee, R. 1980. Taxonomic studies in Stachys part II: a new infrageneric classification of Stachys L. Notes Roy. Bot. Gard Edinburgh 38:65-96. Salmaki, Y., Jamzad, Z., Zarre, S., Brauchler, C. 2008. Pollen morphology of Stachys (Lamiaceae) in Iran and its systematic implication. Flora 203:627-639. Kochieva, E.Z., Ryzhova, N.N., Legkobit, M.P., Khadeeva, N.V. 2006. RAPD and ISSR analyses of species and populations of the genus Stachys. Russ. J. Genet. 42:723-727. Erdoga, E., Akcicek, E., Selvi, S., Tumen, G. 2011. Comparative morphological and ecological studies of two Stachys species (sect. Eriostomum, subsect. Germanicae) grown in Turkey. Afr. J. Biotechnol. 10:17990-17996. Kokkini, S., Iatrou, G., Georghiou, K., Artelari, P., Bazos, I., Georghiadis, T., Georgiou, U., Drossos, E., Hanlidou, E., Karousou, R. et al. (1996). Other important plant species. In: Dafis, S., Papastergiadou, K., Georghiou, K., Babalonas, D., Georghiadis, T., Papageorgiou, M., Lazaridou, T., Tsiaoussi, V., editors. Directive 92/43/EEC The Greek “Habitat” Project Natura 2000: An Overview, Commission of the European Communities DG XI, The Goulandris Natural History Museum - Greek Biotope / Wetland Centre, pp. 468- 486, 768-777, 801-839. Dimopoulos, P., Raus, Th., Bergmeier, E., Constantinidis, Th., Iatrou, G., Kokkini, S., Strid, A., Tzanoudakis, D. 2013. Vascular plants of Greece: An annotated checklist. Englera 31 [Berlin: Botanic Garden and Botanical Museum Berlin-Dahlem; Athens: Hellenic Botanical Society]. Dimopoulos, P., Raus, T., Bergmeier, E., Constantinidis, Th., Iatrou, G., Kokkini, S., Strid, A., Tzanoudakis, D. 2016. Vascular plants of Greece ? an annotated checklist. Supplement. Willd. 46:301-347. Bareka, P., Katopodi, E., Kamari, G., Phitos, D. 2018. Karyosystematic study of some taxa from the Ionian floristic region (Greece). I. Fl. Medit. 28:85-97. Bryant, G. 2003. Plant Propagation A to Z. Buffalo. New York, Firefly Books (U.S.) Inc., pp. 224. Dirr, M.A., Heuser, C.W. 2006. The Reference Manual of Woody Plant Propagation. Varsity Press, Athens, pp. 410. Iapichino, G., Amico Roxas, U., Bertolino, M., Accardo Palumbo, S., Moncada, A. 2006. Propagation techniques for three Mediterranean native shrubs with potential as ornamental outdoor plants. Acta Hortic. 723:433-436. MacDonald, B. 1987. Introducing new and recommended plants into the nursery industry of British Columbia. Comb. Proc. Inter. Plant Prop. Soc. 37:336-343. Maloupa, E., Grigoriadou, K., Papanastasi, K., Krigas, N. 2008. Conservation, propagation, development and utilization of xerophytic species of the native Greek flora towards commercial floriculture. Acta Hortic. 766:205-214. Frangi, P., Nicola, S. 2004. Study of propagation by cuttings of Mediterranean native species with ornamental potential. Italus Hortus 4:191-193. Sanchez, F.T. 1985. El tomillo: aprovechamiento y cultivo. Hojas divulgadoras del Ministerio de Agricultura, Pesca y Alimentación, Madrid. Kang, C.H., Molagoda, I.M.N., Choi, Y.H., Park, C., Moon, D.O., Kim, G.Y. 2018. Apigenin promotes TRAIL-mediated apoptosis regardless of ROS generation. Food Chem. Toxicol. 111:623-630. Krigas, N. 2009. Thymus plasonii Adamovi?, endangered (EN). In: Phitos, D., Constantinidis, Th., Kamari, G., editors. The Red Data Book of Rare and Threatened Plants of Greece. Vol. 2 (E-Z). Hellenic Botanical Society, Patras. Blythe, E.K., Sibley, J.L., Tilt, K.M., Ruter, J.M. 2007. Methods of auxin application in cutting propagation: A review of 70 years of scientific discovery and commercial practice. J. Environ. Hortic. 25:166-185. Boyer, C.R., Griffin, J.J., Morales, B.M., Blythe, E.K. 2013. Use of root-promoting products for vegetative propagation of nursery crops. Kansas State University Agricultural Experiment Station and Cooperative Extension Service, December pp. 1-4. Guo, X.F., Fu, X.L., Zang, D.K., Ma, Y. 2009. Effect of auxin treatments, cutting's collection date and initial characteristics on Paeonia Yang Fei Chu Yu cutting propagation. Sci. Hortic. 119:177-181. Craker, E.L., Simon, V.E. 1987. Herbs, Spices and Medical Plants: Recent Advances in Botany, Horticulture and Pharmacology, Vol. 2. Oryxpress, pp. 235. Jamir, S.L., Deb, C.R., Jamir, N.S. 2016. Macropropagation and production of clonal planting materials of Panax pseudoginseng Wall. Open J. For. 06(02):135-141. Ditengou, F.A., Teale, W.D., Kochersperger, P., Flittner, K.A., Kneuper, I., van der Graaff, E., Nziengui, H., Pinosa, F., Li X., Nitschke, R., Laux, T., Palme, K. 2008. Mechanical induction of lateral root initiation in Arabidopsis thaliana. Proc. Nat. Acad. Sci. USA 105(48):18818-18823. Krigas, N., Mouflis, G., Grigoriadou, K., Maloupa, E. 2010. Conservation of important plants from the Ionian Islands at the Balkan Botanic Garden of Kroussia, N Greece: using GIS to link the in situ collection data with plant propagation and ex situ cultivation. Biodivers. Conserv. 19:3583-3603. Blazich, F.A. 1988. Chemicals and formulations used to promote adventitious rooting. In: Davis, T.D., Haissig, B.E., Sankhla, N. editors. Adventitious Root Formation in Cuttings. Portland, Oregon, Dioscorides Press, pp. 132-149. Hartmann, H.T., Kester, D.E., Davies, F.T., Geneve, R.L. 1997. Plant Propagation: Principles and Practices. 6th ed. Prentice-Hall Inc., London, UK. De Klerk, G.J. 1999. The formation of adventitious roots: new concepts, new possibilities. In Vitro Cell Dev Biol-Plant 35:189-199. Sabatino, L., D’Anna, F., Iapichino, G. 2014. Cutting type and IBA treatment duration affect Teucrium fruticans adventitious root quality. Not. Bot. Horti. Agrobo. 42(2):478-481. Martini, A.N., Papafotiou, M., Akoumianaki-Ioannidou, A. 2017. Vegetative propagation by stem cuttings and establishment of the Mediterranean aromatic and medicinal plant Teucrium capitatum. Acta Hortic. 1189:455-460. Uniyal, R.C., Prasad, P., Nautiyal, A.R. 1993. Vegetative propagation in Dalbergia sericea: Influence of growth hormones on rooting behaviour of stem cuttings. J. Trop. For. Sci. 6:21-25. Kaçar, O., Azkan, N., Çöplü, N. 2009. 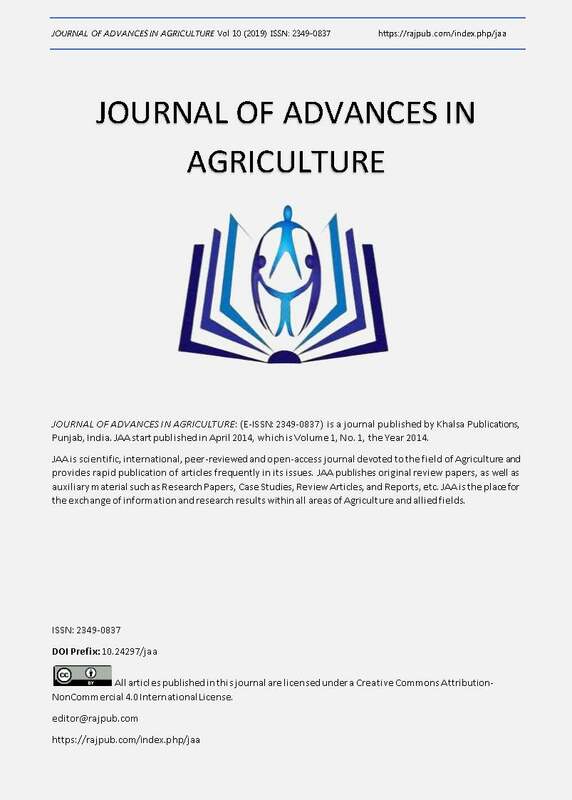 Effects of different rooting media and indole butyric acid on rooting of stem cuttings in sage (Salvia officinalis L. and Salvia triloba L.) J. Food Agric. Environ. 7(3&4):349-352. Karimi, M., Berrichi, A., Boukroute, A. 2014. Study of vegetative propagation by cuttings of Thymus satureioides. J. Mater. Environ. Sci. 5(4):1320-1325. Hartmann, H.T., Kester, D.E., Davies, F.T.J. 1990. Plant Propagation: Principles and Practices. 5th ed. Prentice-Hall Inc., Englewood, Cliffs, New Jersey, USA. Sandhu, A.S., Singh, S.N., Minhas, P.P.S., Grewal, G.P.S. 1989. Rhizogenesis of shoot cuttings of raspberry (Physalis peruviana L.). Indian J. Hortic. 46:376-378. Wage, E.G. 2001. Propagating Herbaceous Plants from Cuttings. Pacific Northwest Extension Publications, Malaysia, pp. 6.